When ordering wine in a fine restaurant, and having the wine presented and served to you, there is a strange and confusing ritual that seems to be involved. The process of selecting a wine from a lengthy and confusing wine list is not something that can be aided by a brief blog post. 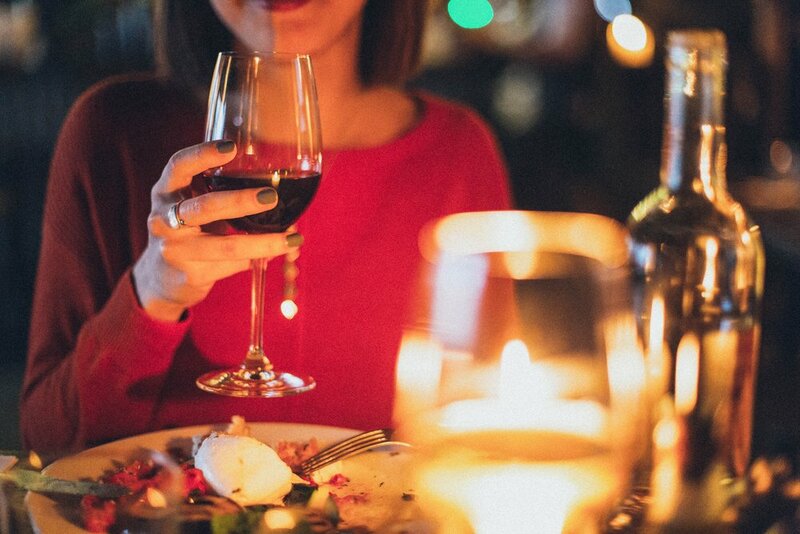 If you’re not sure what you like, what would pair well with your dinner, or what might be an interesting new discovery, by far your best bet is to ask your server or sommelier. That’s what they’re there for. And there’s absolutely no shame or embarrassment in asking their advice. In fact, you’ll look more sophisticated by relying on their knowledge and enthusiasm for the subject than you would ordering a disappointing but high-priced bottle. What we can illuminate is what happens after you’ve placed your bottle order. First, the wine steward or server will present the bottle label to you. The purpose of this is to ensure that the wine they brought you is the correct wine, of the correct vintage, that you requested. It’s very rare that they’ll make a mistake, but you want to make sure that you’re served the 2015 White Graves that you ordered, and not the 2014 Red Graves. Second, the bottle will be opened, and the cork presented to you. The purpose of this step is to demonstrate that the wine was properly sealed and preserved. Somewhere along the way, it became common for the purchaser to smell the cork; presumably, if the cork smelled of vinegar, it would mean that the wine had turned and should be refused. This is very rare, and the idea of smelling the cork is now frowned upon. What you should do is simply inspect the cork visually to ensure that it’s intact, and that there aren’t chunks or pieces missing. If so, they may well have fallen into the wine, in which case, you should mention this to your server. They will either filter the wine, or fetch a new one for you. Finally, a 1 oz sample of the wine will be poured to the person ordering the wine. You are expected to sample the wine, not to determine if you like it or not, but to make sure that it hasn’t gone bad. If the wine tastes vinegary, skunky, moldy (like damp basement or wet cardboard), sulfuric, rancid, or like nail polish/paint thinner, then it is certainly bad and should be refused. Again, this is awfully rare, but it does happen. Especially with older wines. And there’s no way for the establishment to know that the wine has gone bad until you’ve tasted it. If you’re not sure that the wine is good, you should ask the server to double-check it. But only if you have reason to think it’s bad. It is not OK to refuse a wine simply because it’s not what you expected, or because you don’t think you like the taste. That is why consulting with the sommelier or service staff beforehand is important. Let them know what you wines you typically enjoy, and they will endeavor to find something you’re sure to like. Don’t experiment with trying something new if you’re not going to want to pay for it should your experiment end up being unsatisfying. When trying a new place in Texas, I always check to see what, if any, Texas wines, are being offered. Exploring the diversity and range of wine lists at different restaurants is one of the fun adventures of eating out. But never be discouraged because you don’t know what to do when the wine is served. Hopefully, all is now explained.